Dubbed as the ideal touring tire is the Yokohama Avid Ascend Tires which is an all-season tire with excellent fuel efficiency. It™s built with an Orange Oil technology which makes it the first ever mass-produced Grand Touring tire line. 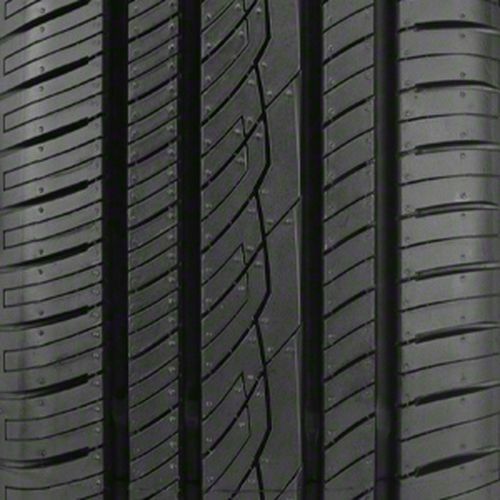 These line of tires are perfect for coupes, minivans, sedans, and crossover vehicles with its extended treadwear, minimal rolling resistance, and year-round traction. In addition to possessing the Orange Oil compound, there is the BluEarth branding which makes these tires ecologically friendly. The Yokohama Avid Ascend tires feature an asymmetric tread design which are specially designed to have a strong grip, effective water evacuation, and wintertime traction. 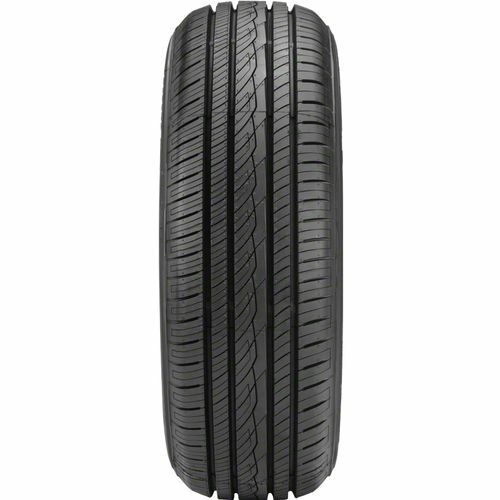 It also has reduced tread movement to prevent uneven tread wear with its tread block bridges. The multi-pitch tread design makes rides quieter since it reduces noise noise for a quieter ride. Because the Yokohama Avid Ascend has undergone comprehensive mileage testing, you are guaranteed longevity in your trips. You won™t have to worry about your tires giving up on you even during long distance rides. It features 3D sipes that adapt in shape as the tread wears making sure that traction is maintained throughout the lifespan of the tire.To maintain straight-line tracking is the continuous center rib which enhances rubber to road contact and outboard edge which prevents uneven wear. 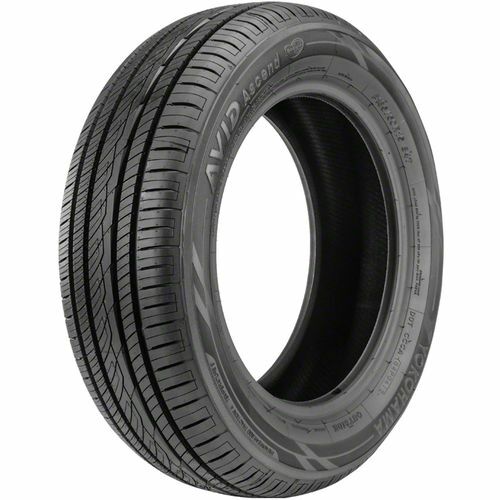 215/70R-15 800AB 1,653 lbs 51 psi 12/32nds 5.5 - 7.0" 9" N/A 27"
Purchase includes the Yokohama Avid Ascend tire only. The wheel rim shown in the picture is not included. Picture provided is a stock picture from the manufacturer and may or may not reflect the actual product being ordered. 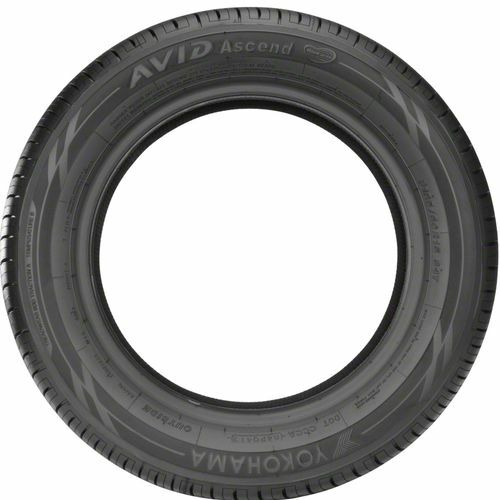 All Yokohama Avid Ascend tires are continuously developing with manufactured improvements. With that said, Simple Tire and the manufacturers have the right to change these tire specifications at any time without notice or obligation. Please Note: Specifications of the Yokohama Avid Ascend tires shown above are listed to be as accurate as possible based on the information provided to us by Yokohama tires. Excellent tire all around. Treadlife exceeded advertised life by 15000 miles. Tires lasted 100,000 before tread depth dropped below safe depth. Great tires. Very pleased. By submitting a review, each person received a sweepstakes entry.